Clermont County Lt. Nick DeRose was shot twice Saturday. He returned to work Monday morning. Clermont County Lt. Nick DeRose was shot twice Saturday in southwest Ohio: Once in the back, where his bulletproof vest protected him, and once in the leg, where it did not. He returned to work Monday morning. That’s the kind of man he is, son Nathan DeRose said Monday evening. DeRose, who leads the Clermont County Sheriff’s Office’s narcotics unit and special response team, was among several officers responding Saturday night to a distress call at On the Green at Royal Oaks Apartments in Pierce Township, just outside Cincinnati. < /span> The caller, 23-year-old Wade Winn, first claimed he had been burglarized. He shifted to threats of suicide when officers arrived, according to Clermont County Prosecutor Darren Miller. Nick DeRose and Det. William Brewer entered the apartment in an attempt to help him. He shot them both, Miller said. Brewer died. Nathan DeRose, who had been hanging out with friends at the time of the call, described “a weird feeling” when he heard about it. He knew his father’s job was dangerous and that, given the nature of the incident, he would likely be part of the response team. But he’d never felt anything like that worry before, he said. He called his mother. His father was alive, however, and well enough to take the phone a few seconds later. 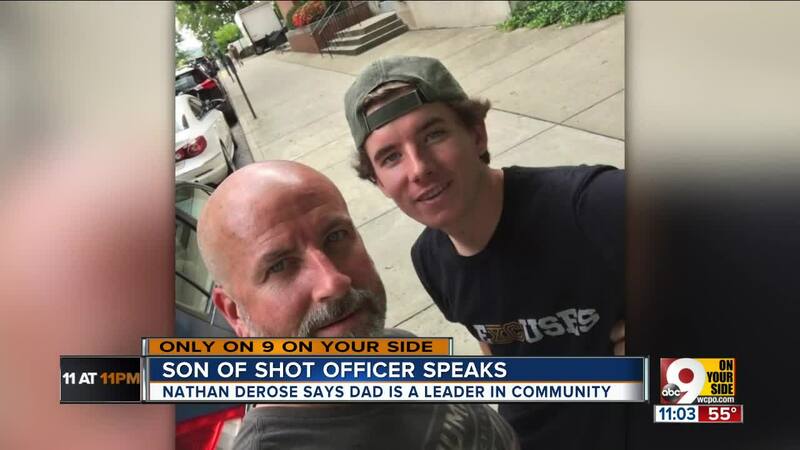 That nonchalant response to being shot is exactly like DeRose, Nathan said. So was his willingness to walk into Winn’s apartment and attempt to save his life. Winn was arraigned in court Monday. He faces charges of murder and aggravated murder in connection to the shooting, and Miller intends to seek the death penalty. Nick DeRose was there on crutches.